Vladimir Pericliev is Senior Researcher at the Institute of Mathematics & Informatics, Bulgarian Academy of Sciences, with over 60 publications in general and computational linguistics, Artificial Intelligence and philosophy of science. Solving linguistic problems frequently reduces to carrying out tasks that are computationally complex and therefore requires automation. 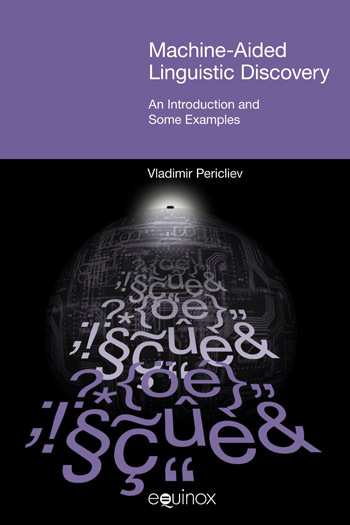 This book is an introduction to machine-aided linguistic discovery, a novel research area, and argues for the fruitfulness of the computational approach by presenting a basic conceptual apparatus and several intelligent discovery programs. One of the programs models the fundamental Saussurian notion of “system” and thus, almost a century after the introduction of this concept and structuralism in general, linguists are for the first time capable of handling adequately this recurring computationally complex task. Another program models the problem of searching for Greenbergian language universals and is capable of stating its discoveries in an intelligible form, a comprehensive English language text. It is the first computer program to generate a whole scientific article. A third program detects potential inconsistencies in genetic language classifications. These, and the other programs described in this book, are applied with noteworthy results to substantial problems from diverse linguistic disciplines such as structural semantics, phonology, typology and historical linguistics. Machine-Aided Linguistic Discovery will be of interest to linguists and to scholars working in the areas of computational linguistics, Artificial Intelligence and the philosophy of science. Linguistics may be viewed from two perspectives, as a result or as a process. From the first perspective, linguistics is the body of knowledge accumulated throughout the ages, while from the second, it is the problem solving processes, or methods, that (may) have led to the accumulation of this knowledge. 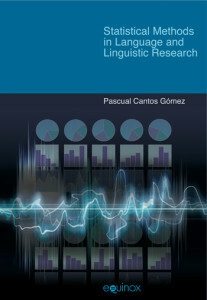 The book is devoted to the latter aspect, to “linguistics in the making”, or linguistic discovery. Machine, or machine-aided, linguistic discovery is a discipline concerned with the automated solving of (substantial parts) of important linguistic problems. In this chapter, I introduce some preliminary notions, using as illustrations four famous discoveries from the history of linguistics, viz. Saussure’s discovery of the concept of “linguistic system”, Jones’s discovery of Indo-European, Greenberg’s implicational universals, and Verner’s law. I define linguistic discovery and look at objects and types of linguistic discovery, then discuss the major factors for discovery: intuition, chance, and problem solving. Previous attempts at automating the (linguistic) discovery process are briefly reviewed, and the central notion of “task of linguistic discovery” is introduced. In this chapter, some of the discoveries of the KINSHIP system are discussed and a structural solution to the familiar problem of the multiplicity of solutions of kinship systems is proposed. In this chapter, Maximally Parsimonious Discrimination, MPD is enriched with the capabilities of performing partial, or statistical, contrasts, as well as with a facility for inventing derived features by combining primitive features via logical operations. In this chapter is described a discovery program, called UNIVAUTO (UNIVersals AUthoring TOol), which discovers and verbalizes in English its discoveries. Accepting as input information about languages, presented in terms of feature-values, the discoveries of another human agent arising from the same data, as well as some additional data, the program discovers the universals in the data, compares them with the discoveries of the human agent and, if appropriate, generates a report in English on its discoveries. Running UNIVAUTO on the data from the paper by Greenberg (1966a) on word order universals, the system has produced several linguistically valuable texts, two of which were published in a refereed linguistic journal. Other discoveries of the system that do not involve verbalization will also be sketched in the chapter. In this chapter is described the computational exploration of the UPSID database, comprising the segment inventories of 451 languages, for implicational universals of type A → B (“If Segment A, then Segment B”). UNIVAUTO found and verbalized 146 statistically significant (near) universals that are supported by languages from at least two language families from at least two geographical areas. Some implications of these findings are discussed. Given a dataset, a common problem in scientific knowledge discovery is to summarize this set by a collection of rules (laws, patterns, etc.) such that the resultant description is the simplest, or most economic. In linguistics, the problem occurs e.g. in attempts to describe a linguistic typology in terms of the smallest set of implicational universals that allow all actually attested, and none of the unattested, language types. In this chapter, I introduce the MINTYP (Minimum TYPological description) program, which handles this problem, illustrating it on the typologies in Greenberg’s Appendix II (Greenberg 1966a) and Hawkins’ Expanded Sample (Hawkins 1983). 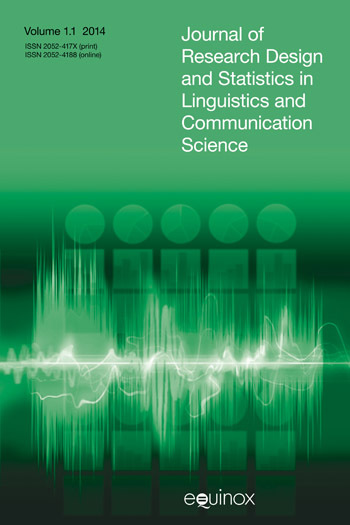 Given a set of languages described in terms of feature values or wordlists, as well as the current genetic classification of these languages, the RECLASS program, which will be the object of discussion in this chapter, finds all pairs of languages, such that the languages in each pair both exhibit statistically significant similarities and belong to different language families. This Chapter discusses the work of the previous Chapters.